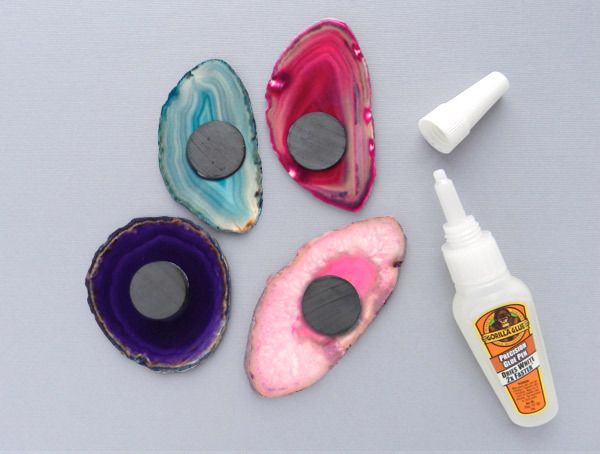 A while back I featured agate slice magnets in a gift guide for the holidays and I've been wanting to DIY my own set ever since. 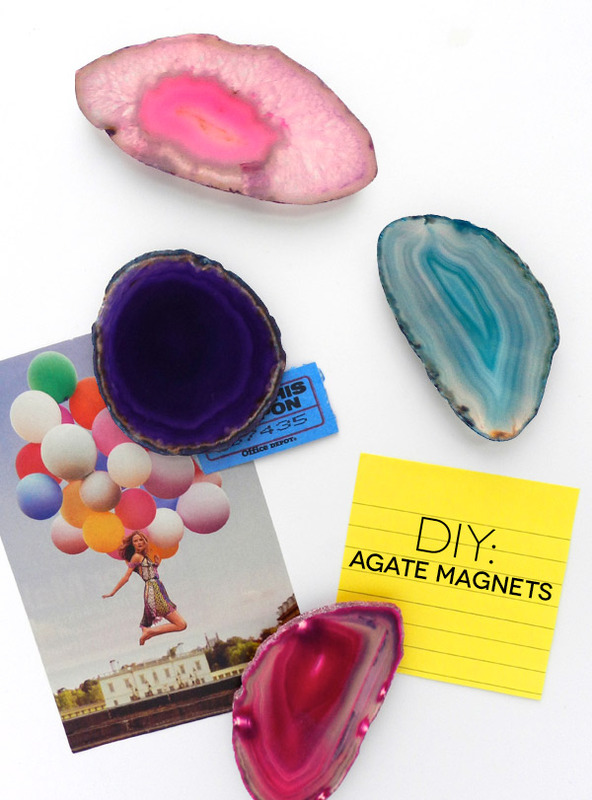 Sometimes the best DIY's are also the easiest, and this project proves just that. 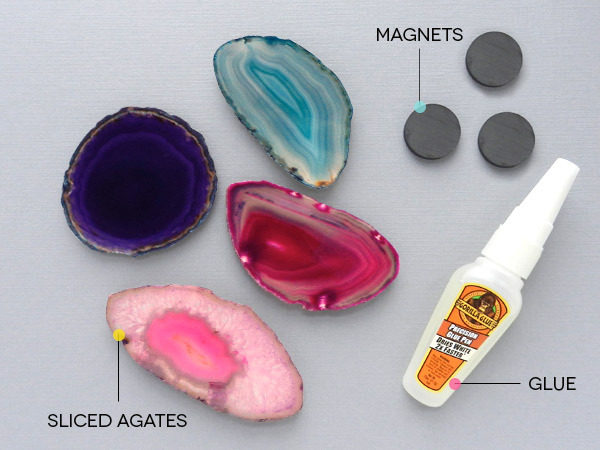 All you need are agate slices in your choice of colors, a few magnets and super glue. I purchased my agates while on vacation in Santa Fe for a couple dollars each, but you can find similar agates here. For a fraction of the cost, I was able to achieve a similar look to the store-bought version and add an unexpected pop of color to the kitchen refrigerator.